Having your lights nicely shining in the garden definitely adds charm to your backyard. But it can also be convenient when the lights turn on automatically, for example, 30 minutes after sunset. To set such automation, you just need to plug your garden lights to the FIBARO Wall Plug and configure it on your iPhone or iPad. This article will guide you through the configuration using our FIBARO for HomeKit devices app. Plug & Play Outdoor Lighting. 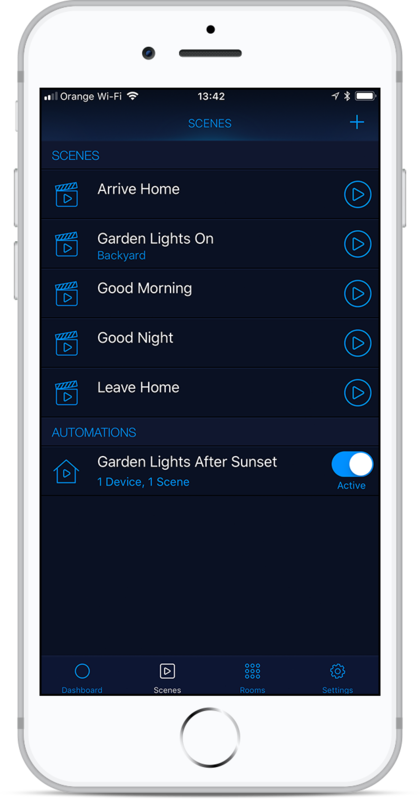 Open the Fibaro for HomeKit app and tap Scenes. To create a new automation, tap the plus symbol in the upper-right corner. 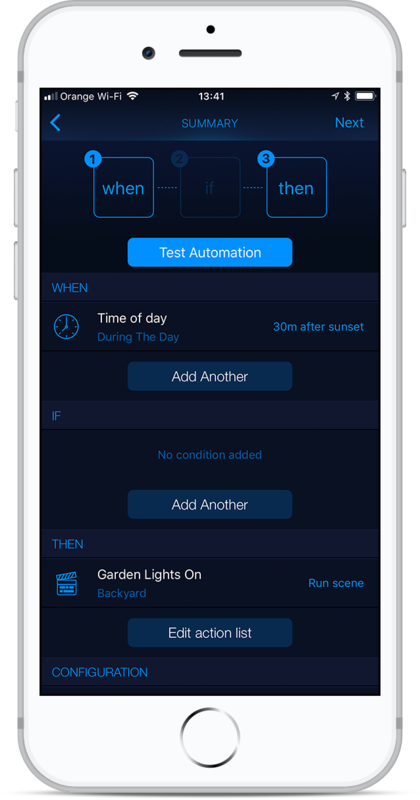 Tap Automation to create a new automation. 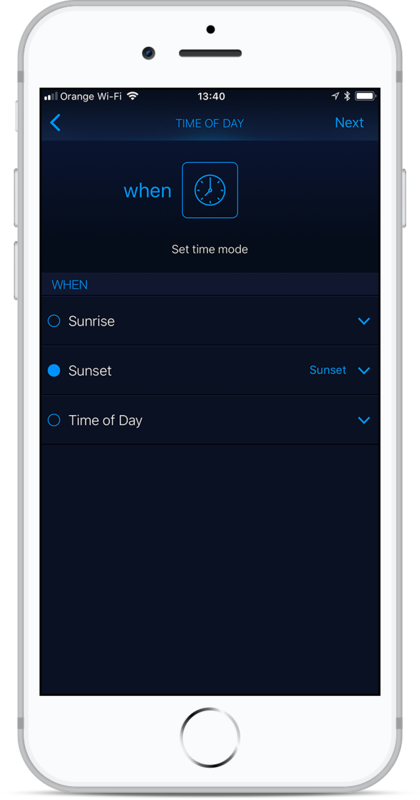 Tap Time of Day to choose when those lights should light up. 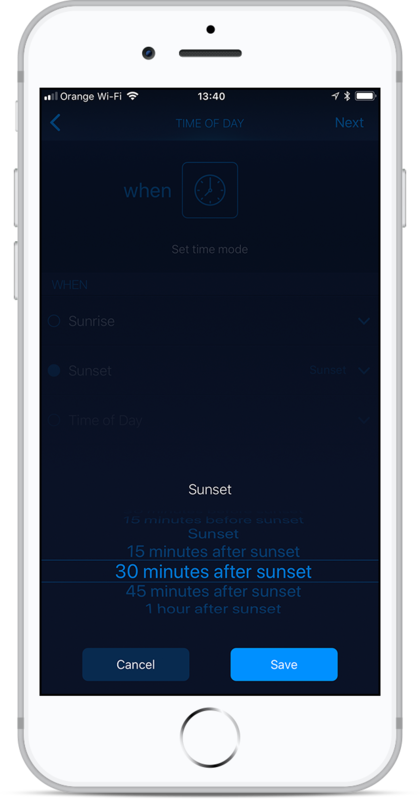 Adjust the offset to 30 minutes after sunset, and tap Save. Skip the if condition and tap Next to continue. 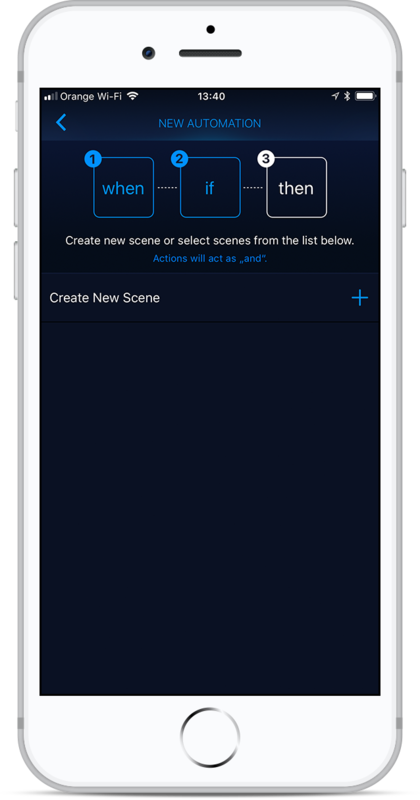 To set actions you need to tap Create New Scene. Select Wall Plug to which you plugged your garden lights. 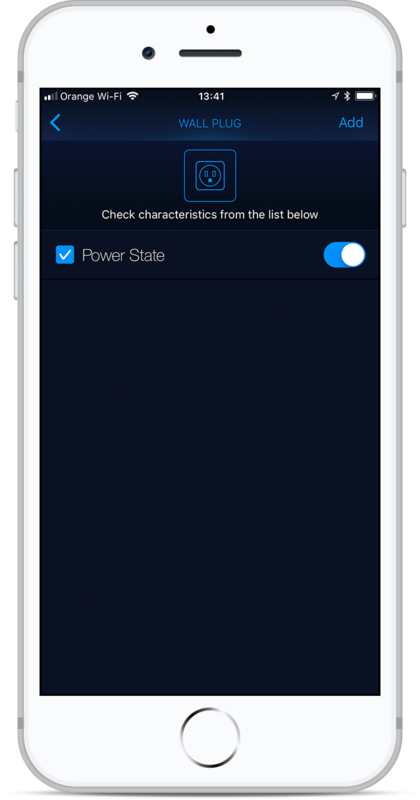 Set Power State to . Tap Add to add it to the scene. 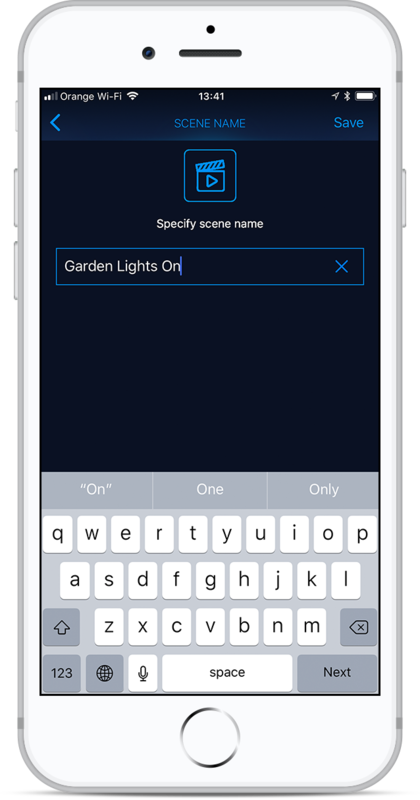 Select the newly created scene by tapping its name. Continue to the automation and tap Next. Name the new automation and tap Save. You can see your newly created automation under the AUTOMATIONS bar. 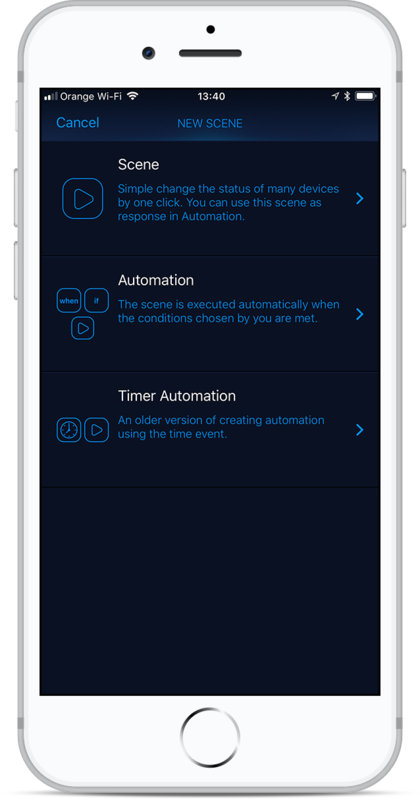 Its subtitle includes the number of devices and scenes which are involved in this automation.